Devbridge was recently named “Investor of the Year” for 2017 by the Investors’ Forum, an association consisting of Lithuanian investors. The award caps a year of continued investment in Lithuania, a country in which each of the five Devbridge founders was born. In February, Devbridge celebrated the opening of a new, state-of-the-art office in Kaunas, the second largest city in Lithuania. The expansion will bring an additional 200 tech jobs to the city over the next two years, part of the Devbridge goal of making Lithuania the capital of European IT by 2023. Rimantas Benetis, technology director at Devbridge, accepted the award on the company’s behalf. Devbridge was chosen largely due to our Sourcery Academy, which offers three free technical education programs in our Lithuanian offices. Offered twice per year, the Academy for Developers is a three-month tech course combining lectures and projects. The Academy for Testers (or test engineers) enables students to join our team as a paid employee for two months; those who perform well are then offered full-time jobs. The Academy for Kids (ages 7-12) provides a full academic year of programming education, encompassing logical concepts and functions, variables, sequences, coordinates, movement, and more. 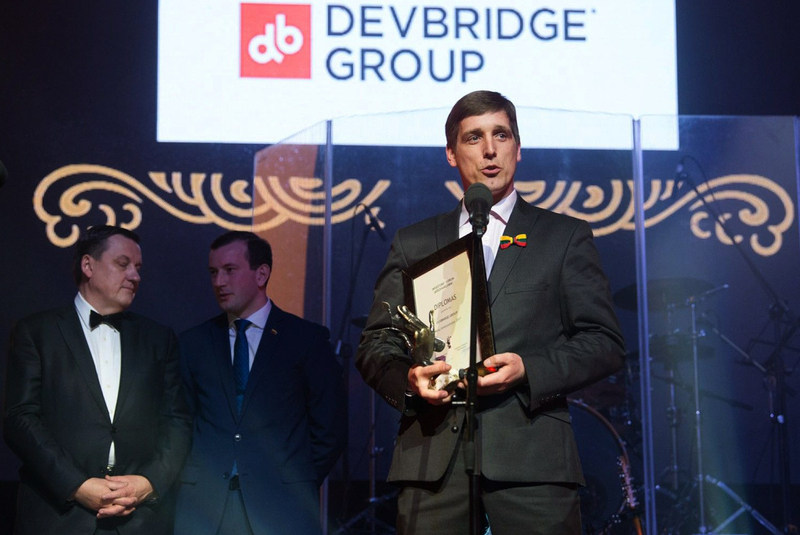 “The leadership, responsibility, and international success displayed by Devbridge are inspiring examples to the Lithuanian and global business communities,” said Rolandas Valiūnas, the association’s Chairman of the Board. Read the full briefing for more details, including how our company created 200 Lithuanian jobs in 2017.